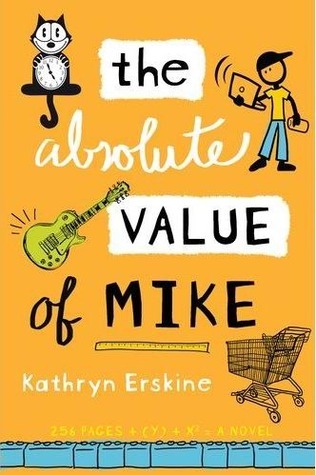 One of the beautiful things about our class novel, The Absolute Value of Mike, is that it reveals how math is a way of understanding our lives and emotions, too. 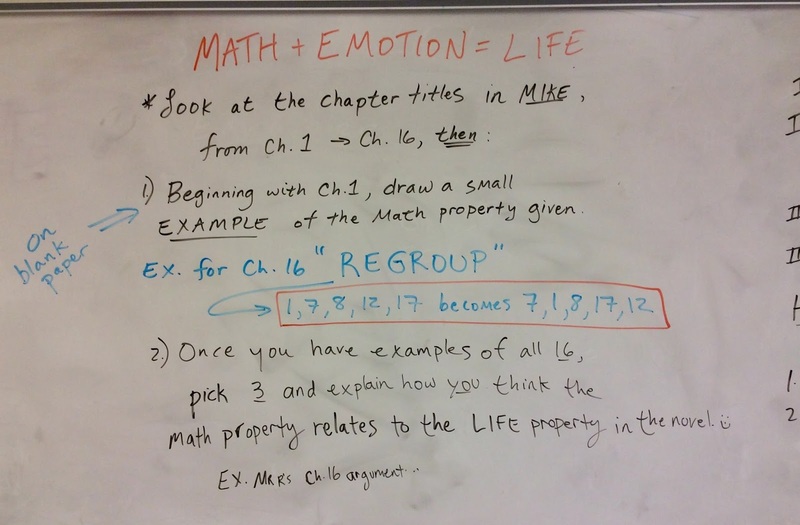 We began today's class with an equation: MATH + EMOTION = LIFE When we look at the facts of any situation, and then add our emotions and views to those facts, we get a larger image of what our lives are about. This happens for Mike and his Dad and all of the characters in the novel! 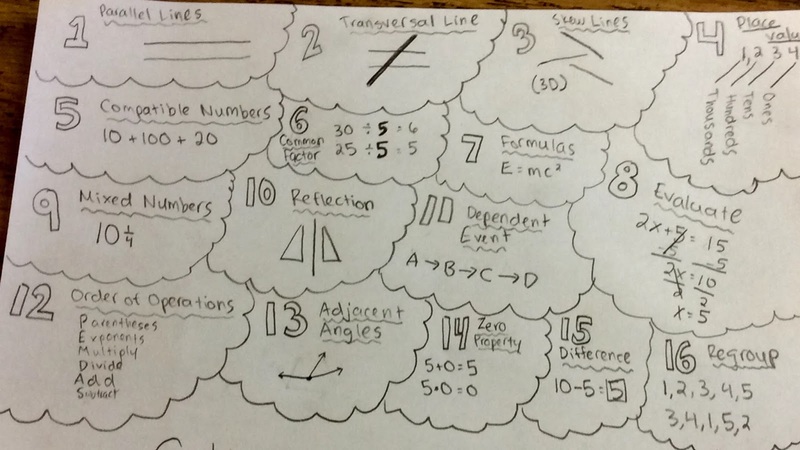 And author Kathryn Erskine does a great job of revealing, though the mathematical chapter titles, how these mathematical properties connect to the lives of the characters. 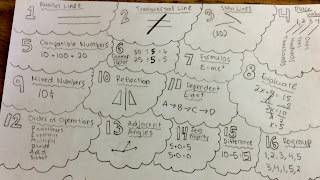 I absolutely LOVED seeing you all make connections between Math and English! For homework tonight, be sure to study for our creative vocab quiz tomorrow. Here are the five words you'll use in a creative screenwriting quiz: HYPERBOLE, SEGUE, ATTRIBUTE, REDEMPTION (or REDEEM), and UNANIMOUS. (our word of the day today, which means in total agreement). Look back over previous posts for help with each word, and your awesome yellow sheets with your own examples! During our early release day today, we shared out our ideas and 1st person POV narratives regarding one of the children that we saw in a photo from Orphanage # 105 in Russia. You each created powerful and empathetic narratives regarding what life might be like, base don our reading in The Absolute Value of Mike as well as the photos that I showed and talked with you about. In small groups of three, you read and responded to each other's writing. Then, we did a close reading activity regarding page 135 in our novel, Mike. You each shared great insights and ideas! 1) (as a noun): My favorite attribute in a person is kindness. 2) (as a verb): The student attributed his "A" in Science to hard work. Our homework for tonight is to read Chapters 17 and 18 in Mike (pp. 136 - 153). Today, we tried to step into what life might be like in an eastern European orphanage. First, we got out of our seats and each had a marker with which to write down key moments from Chapter 13 and Misha's life at the Romanian orphanage. Next, we returned to our seats and I showed you some pictures from a trip my wife, Jennifer, and I took to Orphanage # 105 in Moscow, Russia, and our weeks living with kids there. 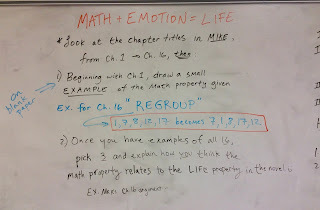 We saw many similarities to Misha's life in The Absolute Value of Mike, and we discussed possible connections and emotions between the two examples. Finally, we wrote 1st person POV narratives imagining a day in the life at one of the orphanages, trying to record the emotions and thoughts and experiences that we would have were we in their shoes. Thank you for a wonderful class today. Our word of the day was REDEMPTION, which means the process of gaining back what was lost, of returning value to something that appeared to be worthless. An example of the word in a sentence is: In our family, we use the idea of a "do-over" to show that any situation or person can undergo redemption. For homework tonight, we are reading Chapters 15 and 16 in The Absolute Value of Mike (pp. 123 - 136). After reading chapters 11 and 12 in The Absolute Value of Mike over the weekend, we used Mike's plan to raise $40,000 to adopt Misha from Romania as a topic for discussion and empathy. How might it feel to be vastly out of your reach to do something you love? How do people like Poppy and Moo make ends meet? 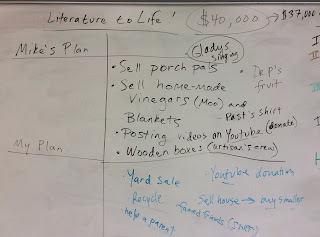 Connecting to our recent field trip to Overlook Farm at Heifer International's MA site, today we explored how people struggle to make ends meet, and we brainstormed what we might do if we were in their shoes. First, we used two-column notes to explore what Mike is doing to try and help raise the $40,000 to bring Misha from Romania to Karen, in Pennsylvania. Then, I shared a personal story about my time in England with family and the difficulty of making ends meet. Subsequently, we transitioned from literature to life. How would you fare if you were in Mike's shoes? What ideas would you craft to try to make ends meet and raise the $40,000? I admire the ways in which you tried to empathize with the characters, and how you tried to see life from their perspective! For homework tonight, we are reading Chapters 13 and 14 in The Absolute Value of Mike (pp. 107 - 122). Our word of the day today is SEGUE, which is a verb that means: to transition smoothly. Here is an example of the word in a sentence: A great writer knows how to segue from one idea to another. Today, we had our sixth creative vocab quiz, in which you wrote a letter to one of the characters (or objects!) from The Absolute Value of Mike. Thus far, I have seen fabulous letters to Doug, Mike, Moo, and even Tyrone (the car) and Junior (Moo's purse)! Our word of the day today is HYPERBOLE, which means extreme exaggeration. An example of the word in a line is: when my 7-year old son asks how much I love him, it is time to use as much hyperbole as possible to make sure he understands! Homework for this weekend is to read Chapters 11 and 12 (pp. 86 -106) in The Absolute Value of Mike. Your Life as a Movie? Today in English, we began with a creative quick write in which many of you chose to respond to the prompt: What would your life be like as a movie? Who would play your role? What scenes would the film include, and what would the soundtrack be? Some of us shared out our quick writes, and then we moved on to the mission of completing our writing portfolios. You each included some very inspiring quotes and images and ideas on your portfolios! Our word of the day today was MOSAIC, which means an artistic pattern made from multi-colored tiles. However, we tried to use the word as an analogy in our sentences, such as Our class is a MOSAIC of people and learning styles! For tomorrow, we have our 6th creative vocab quiz, using the following words: MOSAIC, DESPONDENT, JOVIAL, BOISTEROUS, and ASPIRE. Scroll down through the previous posts for definitions of the words to help you study. Today, we had an awesome class in which we compared and contrasted the motivations strategies that we found in THE ABSOLUTE VALUE OF MIKE by Kathryn Erskine and in a two-minute film clip from the movie RUDY. We see, in our novel, that MIKE is trying with great diligence and persistence to get Poppy off his chair and active. In the film, we see the janitor try passionately to get Rudy NOT to quit the football team even though he has never played in an actual game. We made a Venn Diagram and charted the similarities and differences that we found between the film and the novel, and then explored motivation in a bigger way--relating it even to our own lives. Our word of the day today was ASPIRE, which means: to work hard towards a certain goal; to dream; to hope for something. For tonight, read Chs. 9 and 10 in MIKE (pp. 69-84). Today, we are sharing aloud from our 1st person POV narratives about Past's previous journey from The Absolute Value of Mike. After we share aloud, we are moving into the creation of our year-long WRITING PORTFOLIOS! What begins as a boring manila folder shall be transformed into a thing of beauty (as poet John Keats would assert). We will be crafting collages, writing inspiring quotes, including captions and drawings, and preparing our folders for the year ahead. In these folders, we will keep all of our formal writing for the year: all of our typed, revised writing pieces. These are different from our Creative Writing Quick Writes and our in-class writing activities. At the end of the year, you'll be able to see how your writing has grown, and you can explore all the genres and areas you've explored through writing--both in this portfolio and in your journals. Our word of the day today is DESPONDENT, which means deeply troubled, depressed, hopeless. An example of the word in a sentence is: In Room 340, we refuse to be despondent about any writing mission: we will simply revise and try again! Our homework for tonight is to read Chapters 7 and 8 in The Absolute Value of Mike (pp. 54 - 68). Past's Past, Creative Writing, and Noise! Today we began class with a Quick Write and had the chance to consider our similarities to a character from THE ABSOLUTE VALUE OF MIKE--or to follow another train of thought (or heart) that callied out to us! Then we did a read-through of the short story rubric in pairs decided by birthdays. Following that, we worked in groups to finish our small creative writing (in class assignment) envisioning Past's past: how did he get to be homeless? What is his backstory? Our word of the day was BOISTEROUS, which means loud and chaotic! And for homework tonight, remember to finish your final drafts of your own short story and bring in the printed copy with the rubric attached. Hello! Today we had our fifth creative vocabulary quiz--and you each used a passage from THE ABSOLUTE VALUE OF MIKE and then made personal connections and inferences and used some fabulously sublime new Vocab words within! Our word of the day today is JOVIAL which means joyful or full of energy. For homework tonight, we are reading Chapter 6 in THE ABSOLUTE VALUE OF MIKE (pages 45-53) and tomorrow we will meet in the library to choose independent reading books and have writing conferences with me! It has been a real pleasure writing, thinking, and creating with you all today. We began with our word of the day, SKEW, which means to go off course; slant; leave the norm. 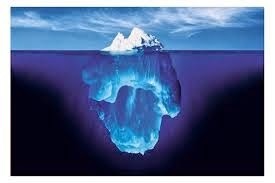 We talked about how little kids go from one point to another, but they skew constantly as they do so! We then dove into a Quick Write for four and 1/2 minutes, writing our hearts out and making our hands sore as we thought about people we value (or any of your other creative ideas). Then, we all gathered onto the floor in the middle of the room and I read The Dot by Peter H. Reynolds to you. We talked about how value shapes shape depending on what we choose to value. 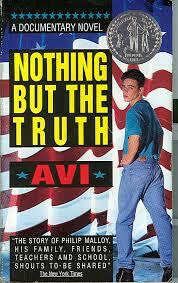 Then, we transitioned into exploring how Past is valued in our class novel, The Absolute Value of Mike. Are we able to see more than the surface level of his homelessness? 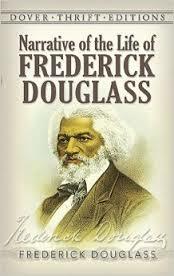 To do so, we wrote 1st person narratives in Past's voice and perspective to try to imagine his story, and how he got to be where he is. For tomorrow, we have our fifth creative vocab quiz, with the following words: INFERENCE, RECEDE, FLOURISH, SPUTTER, SKEW. And the due date for our short story assignment is a window this year: anytime between Friday, October 16 and Tuesday, October 20 is good. Today in class we did a creative writing Quick Write with the optional prompt: How are you similar or different than our protagonist, Mike? Or, you had the option to do our non-stop six-minute writing session about anything else you wanted! Then, we dove into a paired reading activity where you read Chapter 3 from The Absolute Value of Mike aloud with your partner--some of you even doing great voices for the different characters! Our HOMEWORK for this four-day weekend is to read through Chapter 5 of the novel (through page 44) by class on Wednesday. Our word of the day today is FLOURISH, which means to grow well, to thrive, to succeed. 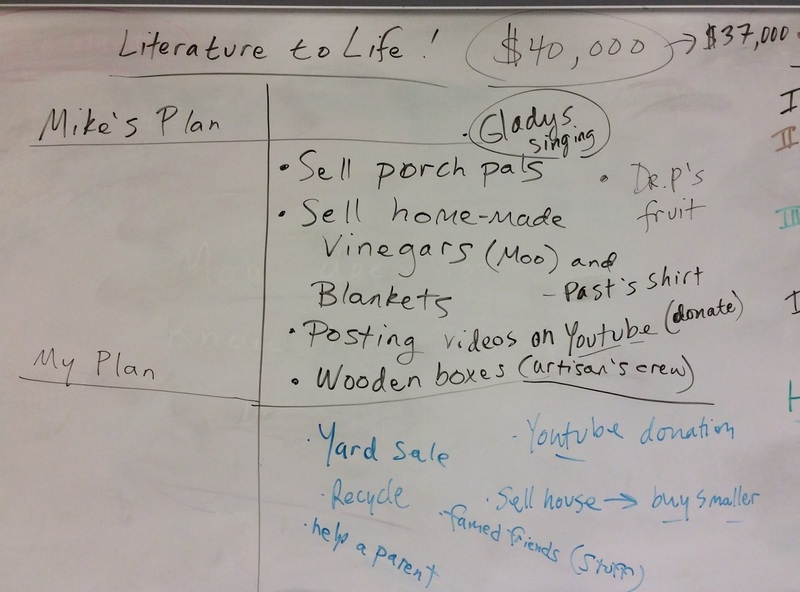 We talked about the copyright page in a novel, various printings of a book, and the process a book goes through to reach its finished form (HINT HINT: it's all about REVISION!). We began reading the book aloud together, today, and for homework tonight, read up through the end of Chapter 2 (through page 16). Our word of the day was INFERENCE, which means: an educated guess. Today, we dove into deep revisions on the first drafts of our creative short story assignments. First, we explored some of the key symbols for grammar and structural changes in our writing. (These all relate to our 13 Rules for Writing, which we discussed yesterday--click here for that list of rules!). And then you each had a partner in which to practice by helping one another find areas for growth in these first drafts of your short stories. It was fabulous to interact and watch as you did that beautiful thing: REVISION! For tonight, start making some of the changes in your rough draft (no need to print off a new copy yet). Our word of the day is RECEDE, which means to lessen or decrease; to fade or back away. An example is: Mr. R's painful memories of riding the school bus in second grade have receded now that he is older. In a Quandary about Quizzes? Yoday we had our fourth creative vocab quiz, where you had the chance to envision your life twenty years from now and use five of our words of the day. 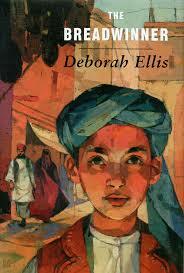 Quandary is one of my favorite, and I can't wait to read how you all used it in your futuristic narratives! Our word of the day today is SPUTTERv which means: to excitedly try to speak and fumble over one's words. Writing is All About Revision! On Wednesday, the typed rough draft is due. Remember: this is not the draft that will be graded, but rather we will work with our drafts in class and begin the revision process. It's all about revision! Remember that most writers don't have amazing first drafts. It's only by revising that writers hone their stories and make them more powerful. Towards that end, we reviewed this list of 13 Writing Rules that I hope you keep with you forever, an even if you should go to college, get married, go whitewater rafting, or go ice fishing, I hope you will have THIS LIST OF WRITING RULES tucked away in your back pocket. Our word of the day today is POISE, which means a calm confidence, or balance, even in the face of great difficulty. We have our fourth vocab quiz tomorrow on the following words: POISE, FORMIDABLE, SYMBOLISM, QUANDARY, EXULT, and DIVULGE. You will only need to know five of these six since we have one extra! See you tomorrow, and peace! It's all about the POV! Today, we had an awesome class exploring POINT OF VIEW in a story! After we discussed the different kinds of POV, we watched a clip from the fabulous film Stranger than Fiction and discussed what POV the film takes. Our homework over the weekend is to write the second page of your creative fiction assignment--rough draft form (can be handwritten!). Our word of the day is FORMIDABLE, which means overwhelming, challenging, causing fear or dread. And here are the notes on POV!! Today, we jumped into a SYMBOLISM activity whereby we explored loads of images. For each image we saw, we wrote down word associations, emotions, and places that came to mind. 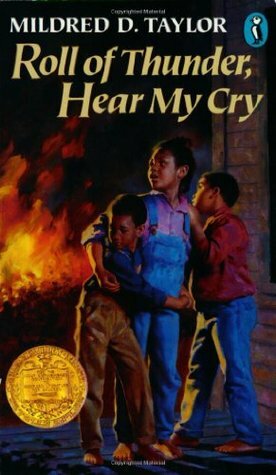 As we discussed the ideas and emotions that the images brought up in our heads and hearts, we began to uncover how powerful symbolism really is--and WHY heat authors use symbolism in their fiction. We discussed the success of Suzanne Collins's great trilogy THE HUNGER GAMES, and listed off the many symbols in the books--from the mockingjay to fire to white roses. Each symbol increases the reader's fascination with and engagement with the novel. Were we to remove all of the symbols, the story would have less power. Tonight, your homework is to draft the first page of your own short stories. In this first page, try to incorporate at least one symbol! The definition of SYMBOLISM (our word of the day) is: the process of using an object or an image t represent an idea or an emotion. Our quite of the day is from author Katherine Porter: "One of the marks of a gift is to have the courage to use it."